Chandigarh is a modern city with excellent tourism activities round the year. The city is the dual capital of Indian states: Haryana and Punjab. The popularity of Chandigarh as a tourist destination is increasing day by day owing to the comforts this city has to offer. Some of the hot spots or must see sites in Chandigarh are art galleries, Rock garden, museums and some beautiful temples. Chandigarh being a planned city provides all sorts of comfort levels for travelers. However, if you are visiting the city for first time then you are advised to take some health and safety precaution to ensure your trip becomes memorable. Chandigarh lives up to its name of a modern city by the presence of various artistic monuments and creative people. Various live performances, concerts and cultural events that take place in the city are best examples of cultural prominence of the city. The city has numerous museums, art galleries and theaters. If you are visiting the city for first time, still you need not worry about how to spend your time. The city has all the infrastructure of a modern city and this is what attracts more and more foreign tourists. You can fulfill all your amusements and excitements when you are in Chandigarh. A visit to Chandigarh would make your trip memorable with the amount of entertainment opportunities and comforts available in the city. The name Chandigarh has emerged from Goddess Chandi, a Hindu Goddess. An excursion to Chandigarh can include Rose garden, Rock Garden and Chandi Devi mandir. Do not eat street food, they are unhygienic and can cause stomach ailments. Carry personal drinking water and in emergencies drink only packaged mineral water. Do not drink water provided at restaurants. Always carry sickness pills during your journey. These pills would prove handy while travelling long distances and through high altitude areas. Select a good reputed restaurant for your dining requirements. Be very particular not to have non-vegetarian delicacies from unhygienic places. Chandigarh experiences scorching heat during summer. Take adequate water, Chaas and fruit juices to avoid dehydration. Heat stroke is common, try to take water or lime juice for instant relief. Do not leave your baggage with strangers or unattended. While on the move in city, lock your valuables and important documents in hotel room or locker. Do not display your cash and valuables in front of strangers, shopkeepers and people who provide you services like taxi driver, guide and waiter etc. Busy places are prone to pickpocketers. Be vigilant about your valuables while moving through crowded places. Do not be overfriendly and affectionate with strangers, even though they are members of your tour package. Do not accept food items and beverages offered by strangers. Restrict your movement during late nights, especially when you have a woman in your company. Carry the emergency and police numbers. Contact them or help during emergency situations. You will be provided with timely help. Honeymoon couples and married people are advised not to strike compromising poses in temples, religious sites and parks. This can lead you into trouble. Chandigarh is the first and foremost planned city of the country which was designed during British era by Le Corbusier, a French Architect. The city holds the distinction of being a Union Territory and also for being capital of two Indian states: Haryana and Punjab. Chandigarh city is a culmination of culture, tradition and modern amenities. People of all faiths and religion live in Chandigarh with communal harmony. 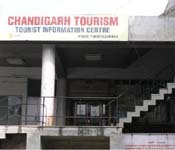 Chandigarh has now emerged as a popular tourist destination for both people from within and outside the country. The city stands as the dual capital of the state of Haryana and Punjab. Chandigarh is one of the major business centers of the country and commercial city of Punjab state. Chandigarh city has excellent Road transport system which makes journey by road within the city very pleasant without much traffic jams. 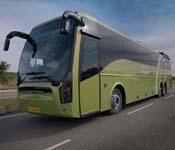 Also, there are numerous bus services for travelling to neighboring states. Chandigarh has pleasant climate during the months between August and November. During this time, the climate is neither warm nor chilly. Climate of the city is similar to any other North Indian regions. Summers are very hot and monsoon showers bring some relief from the scorching heat. If you are planning a trip to Chandigarh, the ideal time would be in mid August when the monsoon season is over and the effect of heat subsidizes. Chandigarh is located towards the Northern part of India at the foot of Shivalik ranges. The Shivalik hills are the part of fragile Himalayan ecosystem. Chandigarh is placed at a longitude of 76°47’14E and 30°44’14N latitude at a height of 321 meters above sea level. The total area of Chandigarh is 114 sq km and is surrounded by Himachal Pradesh, Haryana and Punjab states. You can experience all types of cuisines in Chandigarh being a cosmopolitan city. The traditional Punjabi dishes are very popular. Both vegetarian and non-vegetarian restaurants are in abundance in the city. Food lovers are sure to have a wonderful time in Chandigarh. Chandigarh city is one of the well developed cities in North India and provides various shopping options for tourists. Chandigarh provides both modern and traditional shopping experiences. The city being well planned and modern offers trouble free shopping. The parking areas and vast lanes provide a delight for people visiting the city. Also, the shopkeepers have a good general behavior. Try to collect all the information regarding climate well before you plan to visit this 'City Beautiful'. A clear idea about climate of the city will help you make your trip memorable without any hassles. Chandigarh experiences a unique pattern of climate and the climate gets easily disturbed by climatic changes in the Himalayan region. The city experiences three prominent seasons like any other North Indian city. However, the city also experiences a short spell of autumn season.